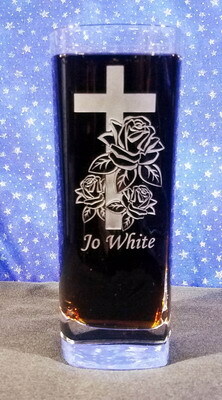 Adding text and/or a design to the back of this glass is $7.00 each. Designs on the front of the glass are free. 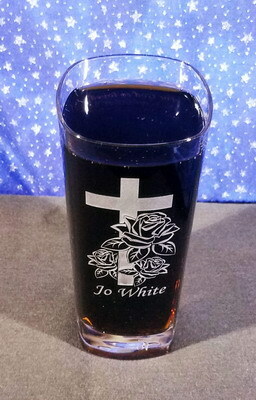 Add an additional $7.00 for a design and/or text on the back of the glass. This square glass has a striking square shape. 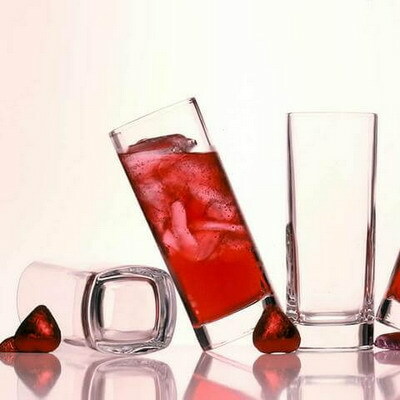 This glass is perfect for soda, juice, water, or any other beverage. It makes a lovely vase as well. It is 6-1/4 inches high and holds 13.5 ounces. 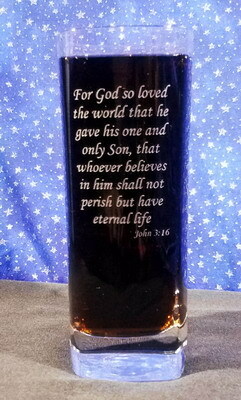 The Cross with Roses design and John 3:16 verse on opposite side is available upon request.